The high tension cable 12mt is an indispensable part of the whole set of X-ray machine control equipment, which is the transmission link for the console to send various instructions to the X-ray machine. Any failure of it will affect the work or cause damage to the equipment. Therefore, the integrity of high tension cable 12mt and high voltage connector play a significant role in the work. The high tension cable 12mt controlled by X-ray machine is generally composed of 9 core multi-strand copper wire and 9 core concave and convex plug. The line length should be at least around 30m, which belongs to the moving tool. During the use, it is easy to make the high tension cable 12mt squeeze, press, smash, drag and so on to cause line disconnection. The X-ray machine head connection is frequently used without welding, so the equipment cannot be used normally. Therefore, the good high tension cable 12mt is also the guarantee to complete the work normally. 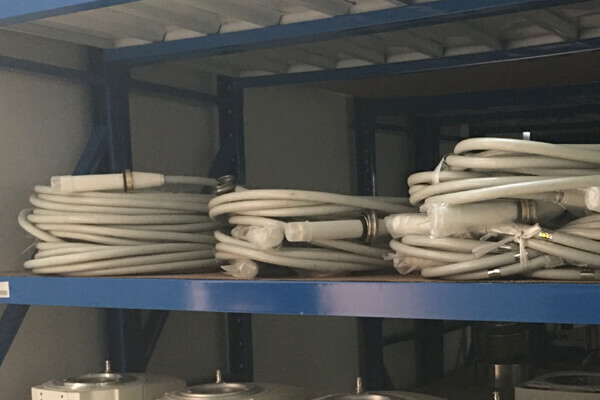 The length of Newheek high tension cable 12mt can be customized for you, and our high voltage cable can also provide you with joint configuration and quality assurance.